The invention of Frank Knoff in 1906 does not have much to do with ADS. Knoff designed a suit in dependable of the surface. 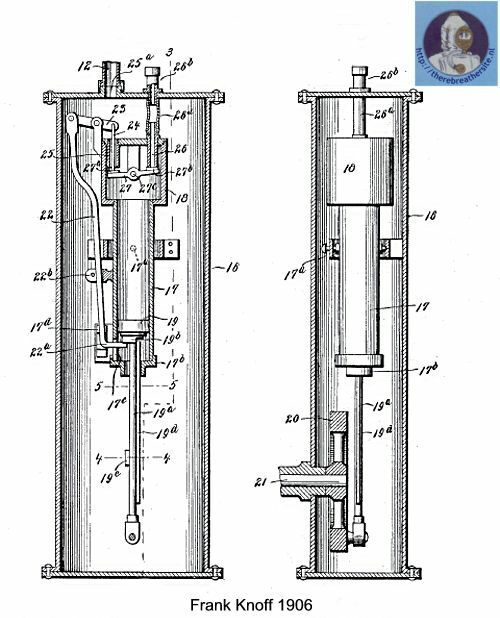 The invention relates to diver’s apparatus, and has for its object to provide means for supplying a diver with air without the use of the ordinary pump operated by other persons above the surface of the water. 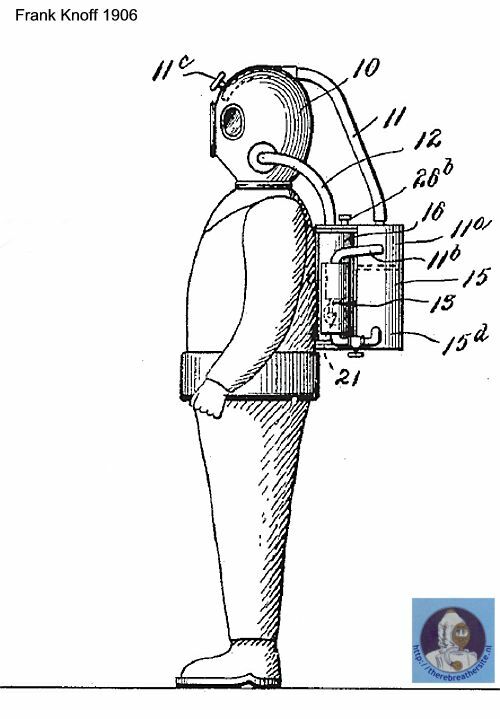 With this invention the diver carries his own supply of air in a compressed-air tank upon his back. Means are provided for supplying such air to the helmet and for exhausting the foul air there from. The diver is thus not subject to the control or action of other persons.